For $5 a day and a one-time $150 set-up fee, each local business benefits from working face-to-face with a local social media trainer across the big ten social media channels. Customized social media strategy to drive leads and loyalty. 60-minute, in-person Best Practice Session every 30 days with our social media specialists on a schedule that works for you. Step-by-step instructions to keep your social media fresh. Deals platform as a free system to offer promotions across your social media channels. Editorial calendar that helps you organize and schedule the content you post. Metrics dashboard to track the effectiveness of your social media and the traffic it generates. Password vault to secure your usernames and passwords in one location. Daily service through our Social Media Support Team. Venly Support Team members also become certified to provide instruction on or access to a range of other specialty training services or “Add-ons.” Examples of Add-on Trainings include: business category-specific content creation, logo sizing, website development and maintenance, ad spend management, and enterprise applications. These Add-on Trainings may be contracted as individual projects through your Fellow and your Support Team. 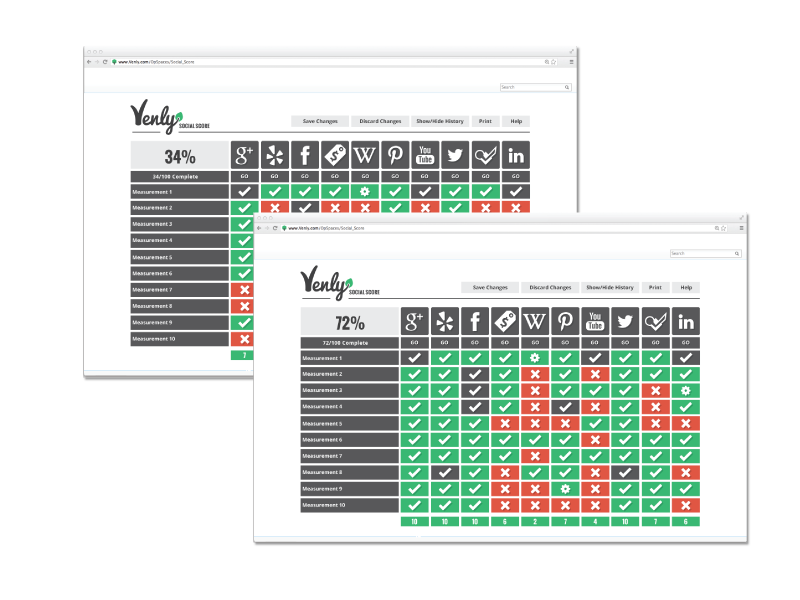 A free Venly Social Score compares your company’s social media with local and national best practices used by other companies in your specific business category. Local Chambers of Commerce sponsor a free best practice training where a Venly Fellow and a national expert explain your company’s Social Score and how to improve the business value from your company’s social media presence. To get your Social Score or to connect your local Chamber with a Fellow, click below so that one of our Fellows can contact you as soon as they are in place.